Kick off your sandals and relax – we think everyone should live life barefoot. 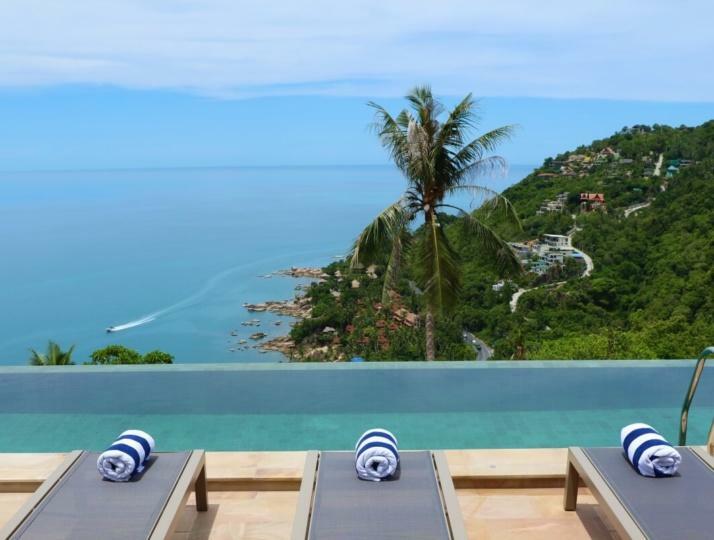 The Calvie Samui is a modern and sophisticated 4 bedroom villa with infinity pool in Koh Samui, Thailand. 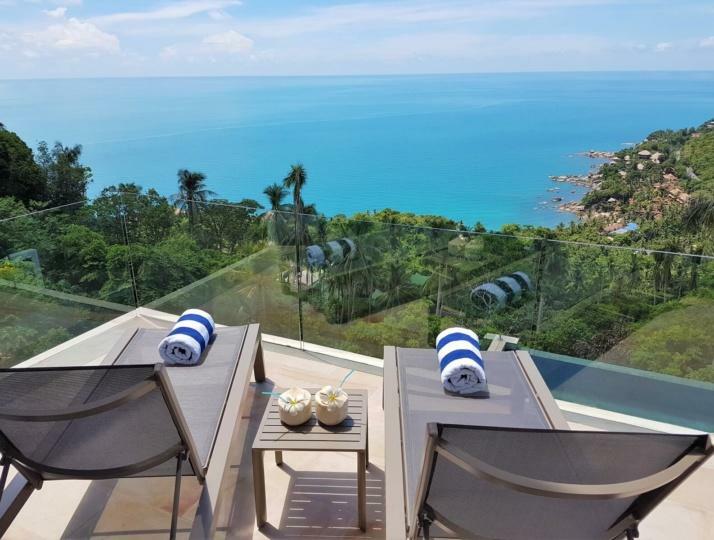 It is situated in the hills just 10 minutes outside of Chaweng amidst coconut plantations with panoramic sun-drenched views of the eastern coastline of Koh Samui island. 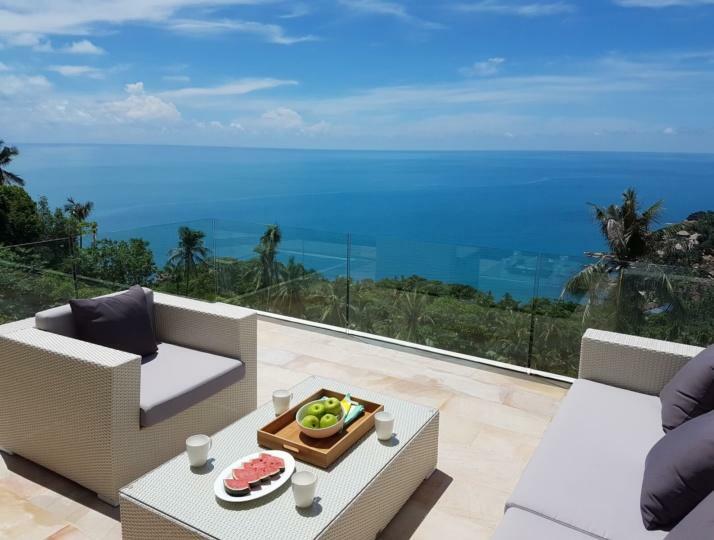 The Calvie Samui, is a newly built, contemporary villa that offers a private, relaxing and stylish setting to enjoy the tropical island and the incredible views of the Gulf of Thailand. 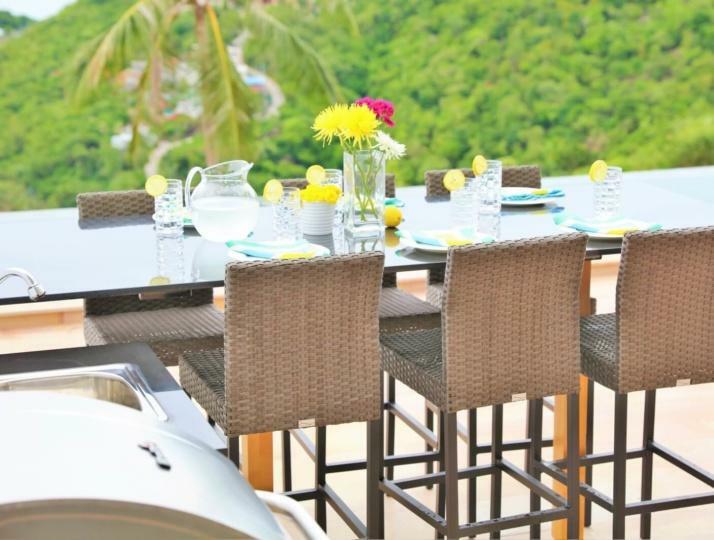 Read more..
At The Calvie Samui we want our villa to be your home away from home. 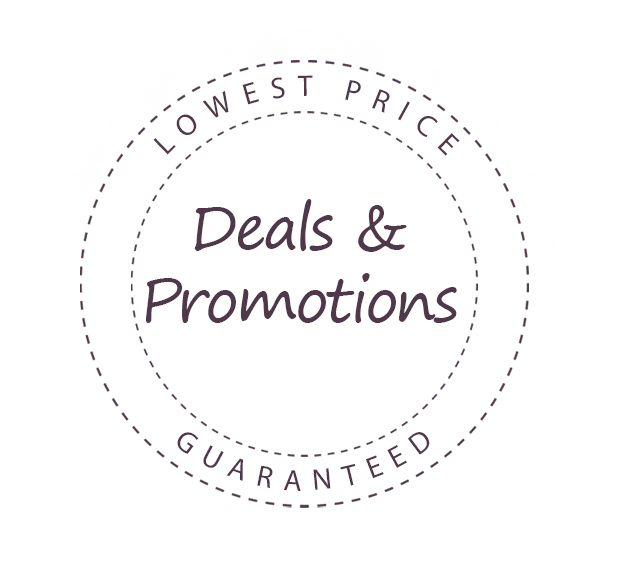 If there is anything that you require in addition to the following amenities, please let us know. 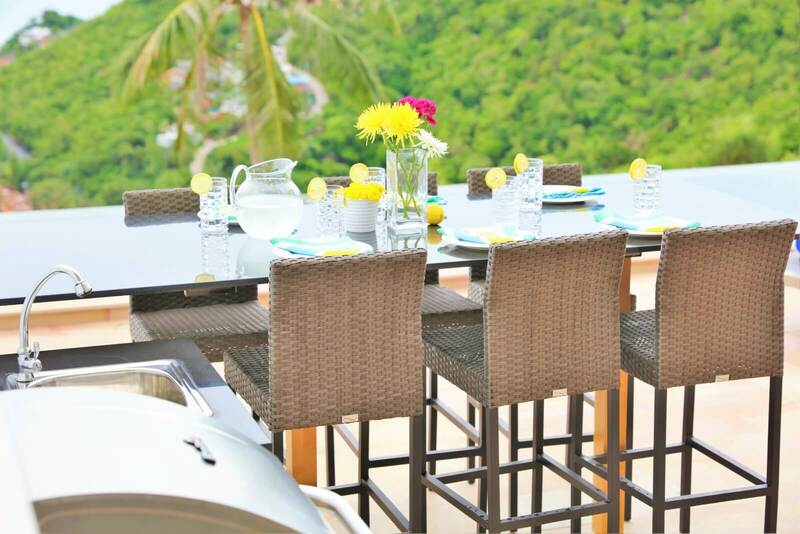 Our villa manager is an incredible cook – let us tempt you with some fresh Thai food during your stay. And you don’t even need to leave the villa! This was a really great pick! It was the best of both worlds, being able to spend time at the beach everyday and then withdraw to your own little sanctuary in the hills. 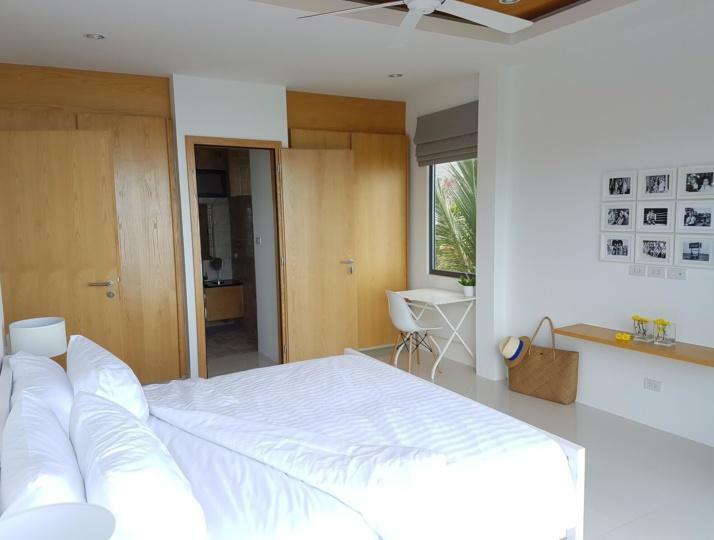 We’ve stayed in beach villas before and although direct access to the sand is nice, have found in the past that you can sacrifice a bit of privacy as well being so close. 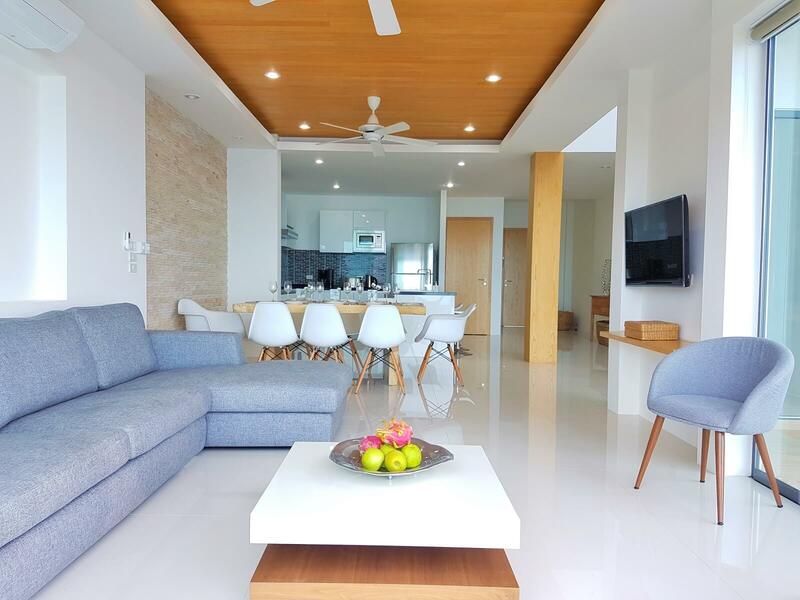 If you are looking to capitalize on ‘nightlife’ you are only 10 minutes to Chaweng or Lami (and there is lots to do in both towns) but we actually loved having our evenings in the villa so we could relax and de-stress from the daily grind. Our party days have become much more refined so being able to access a cold beverage from the outdoor fridge a stones throw away from the pool lounger was perfect! We went to Chaweng for eating/shopping which was literally less than 10 minutes away but most nights preferred to bbq at the villa as the views were amazing. 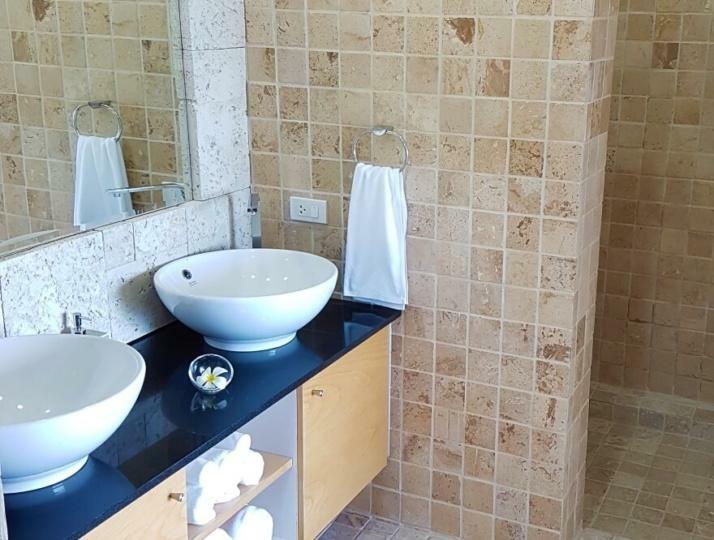 The villa is extremely well maintained and was spotless on arrival. We were travelling with another couple and there was a ton of space to stretch out in. Would definitely recommend and would stay here again. The owners had obviously put a lot of thought into making sure we had the perfect relaxing stay, even down to providing international adaptors. All in all, the villa was perfect for us and the modern furnishings made it feel like we were staying somewhere a lot more expensive. I wished we had stayed at the villa for our whole trip. It was the perfect for our first family holiday. 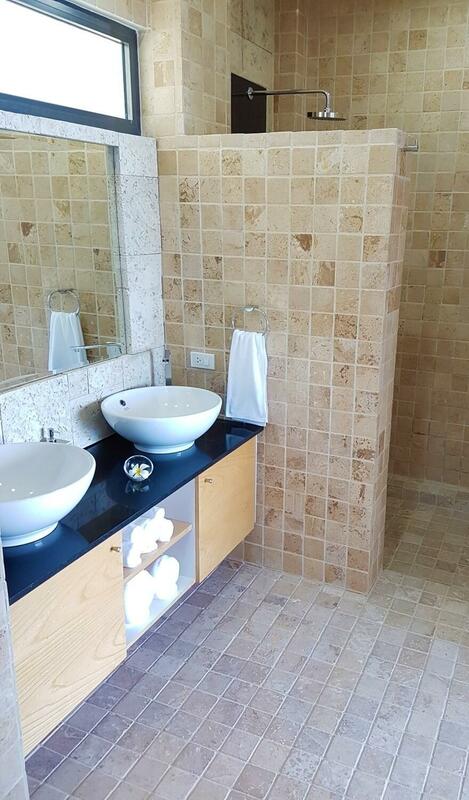 The service we received was that of a luxury hotel, yet with the privacy and space you expect with the villa. The view from every room in the villa is breathtaking. We loved the fact that whilst our baby was sleeping we could enjoy our time at the pool, soak up the sun and feel that we were in paradise. We loved it and will be back again! The place to be in Koh Samui! The Calvie is so well set up…. 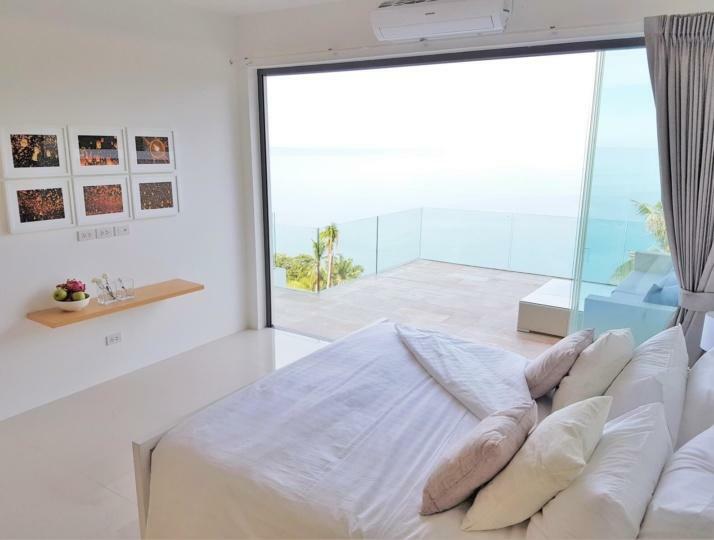 We were 2 couples, plenty of privacy with each bedroom having the fabulous view and luxurious en suites. The fittings and finishing touches are beautiful and better than most 5 star hotels. 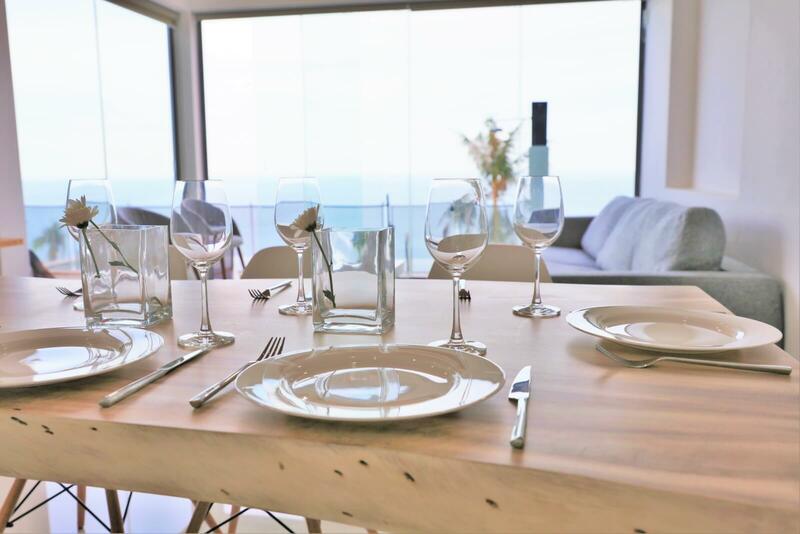 And when the 4 of us wanted to spend time together, the common area was also spectacularly fitted out with inside/outside living including barbecue and gourmet- style kitchen. And all this just 5-10 minutes drive from the more predictable Thai experience of beaches and excellent restaurants and shopping in nearby Chaweng. We have been to Thailand many times and this is definitely the best place we have ever stayed. Big thanks to our hosts, John and Julie, for making this such a fabulous experience. An amazing place to stay during vacation. 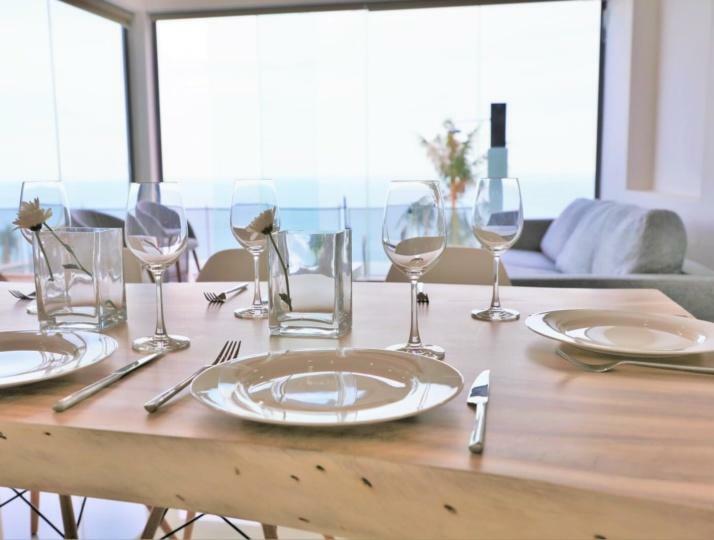 The villa is exactly the same as pictures online, very new , clean, modern with facilities provide best convenience and relaxation, especially the infinite pool with amazing sea view. Service was really good as well. I would like to choose the same place to stay for next time. The Calvie is in the hills just 10 minutes outside of Chaweng amidst coconut plantations and with panoramic sun-drenched views of the eastern coastline of Koh Samui island. The Calvie 2015. All rights reserved.